P Mac Ltd recently completed the polished concrete element to restoration works at Richmond Barracks. Richmond Barracks of course played a very important role during the 1916 Rising. After the surrender, it was designated by the British as the holding centre for over 3,000 suspected rebels, until they were released or sent to prison camps. All signatories of the Proclamation (with the exception of James Connolly) and other leaders were also interned, court-martialed and sentenced to death in the barracks before being sent to Kilmainham. 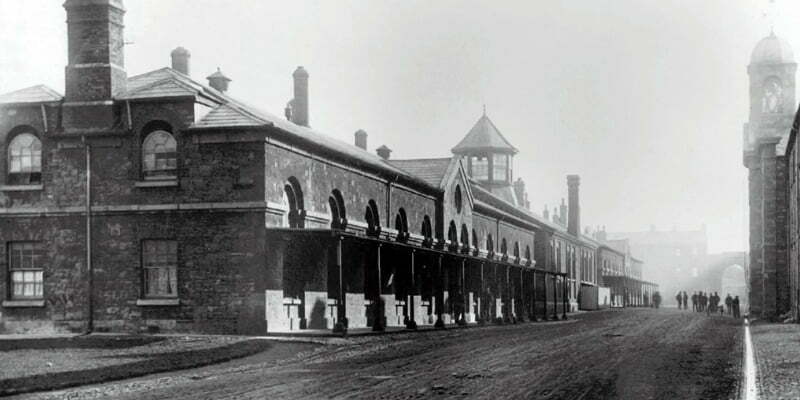 In 1922, The British Barracks was handed over to the Free State Army and renamed Keogh Barracks. After that, the historic buildings were used by the Dublin Corporation to house families in need as well as a Christian Brothers school. The housing scheme became known as Keogh Square which, following many years of social deprivation and bad physical conditions, was eventually demolished in 1969. This meant that most of the original Barrack buildings were gone forever. Thankfully, Dublin City Council took possession of the remaining buildings in 2005, with a view to conserving what was left. The remaining three original Barrack buildings (including the gymnasium) are now part of a Commemorative Restoration Project for the 100 year anniversary of 1916. The Barracks are due to be launched this June as an interpretive and exhibition centre commemorating this chapter of our history. 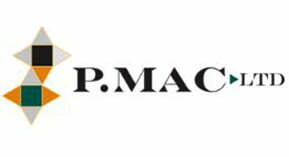 Construction works are being carried out by Purcell Construction and P Mac, as Heritage Contractors, were delighted to be awarded the concrete polishing element. 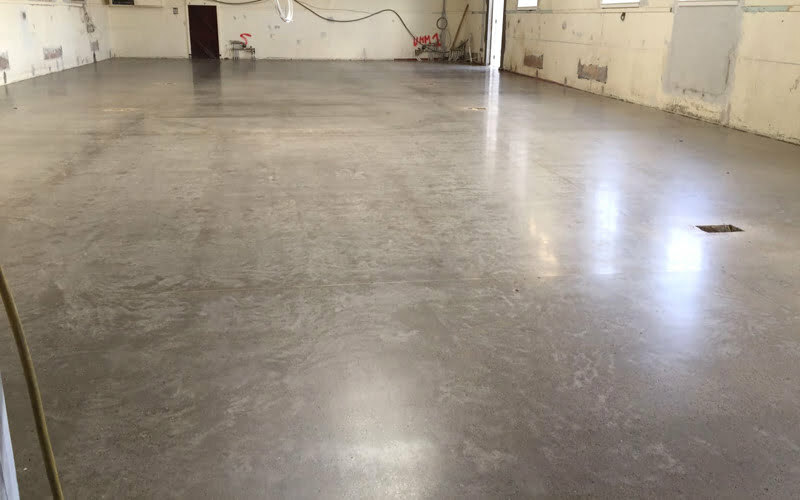 A new concrete floor was poured in the gymnasium. Crack inducers were purposely cut every 36m2 – this should help deter any future natural cracking of the concrete. Brass strips were embedded into the cracks to create a feature. The concrete was ground to a gold finish, giving a beautiful smooth surface without exposing the aggregate. The floor was then polished using diamond pads, bringing it up to a high shine. 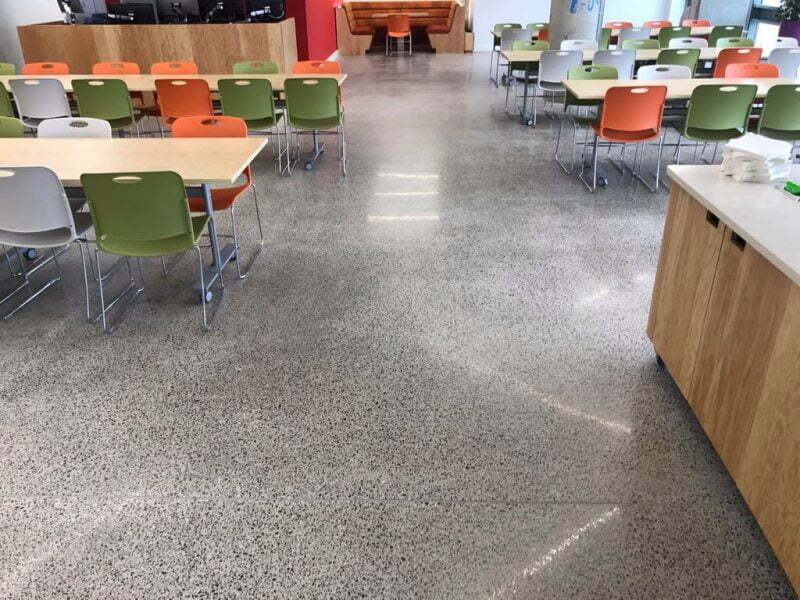 A polished concrete floor will be an ideal flooring solution for the Commemorative Centre. It is virtually maintenance-free, has a high slip resistance rate and the gold finish gives it a wonderful neutral finish. The floor will last as long as the Barracks still stands!